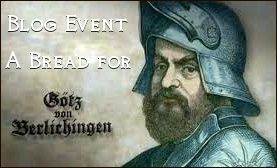 If you undertake the (highly rewarding!) task to make croissants, you might wonder what to do with all that delicious, buttery dough – if you have just two people to feed (like me). It’s not worth the effort to make smaller amounts, but croissants are best enjoyed the same day, and laminated dough doesn’t like long hibernation in the freezer. 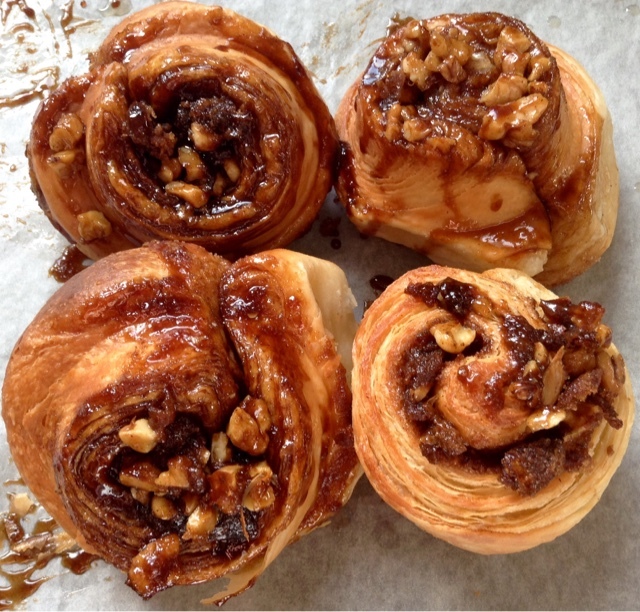 Fortunately, Standard Baking Co. (“Pastries“) has more suggestions for the use of laminated dough: morning buns (aka sticky buns): flaky cinnamon rolls with caramelized walnuts. 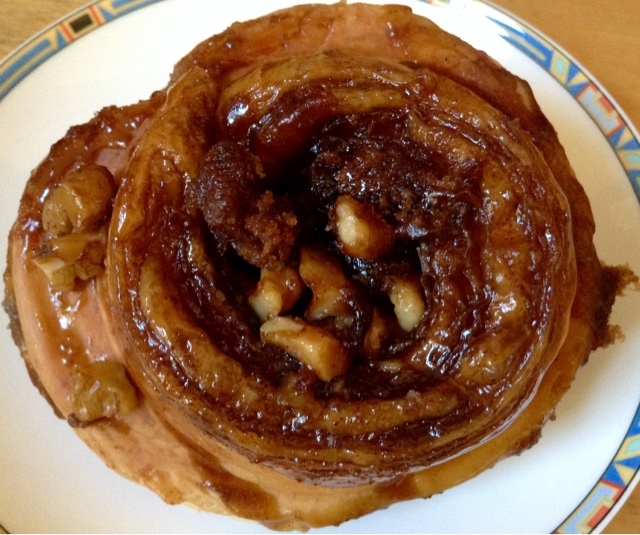 Sticky buns, very popular in the US, are the great-grandchildren of the good old German Zimtschnecke (= “cinnamon snail”), brought by immigrants to Pennsylvania in the 18th century. With or without nuts – true to their name, these sweet little rolls are finger-licking good! These buns are finger-licking good! When I make croissants, I always separately freeze a third of the prepared laminated dough, either to fill it later with ham or cheese, or turn it into sticky buns. In small bowl, stir together brown sugar and cinnamon. Butter muffin pan (cups and top surface). 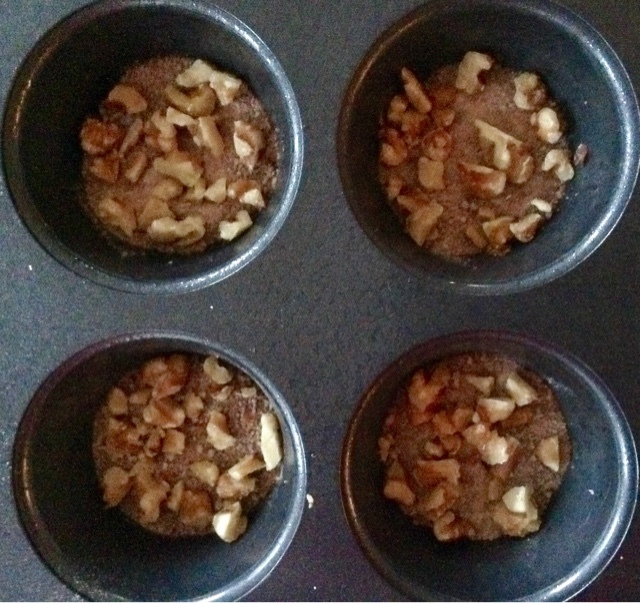 Place 1 teaspoon (firmly packed) cinnamon sugar into each muffin cup, then sprinkle with chopped walnuts. 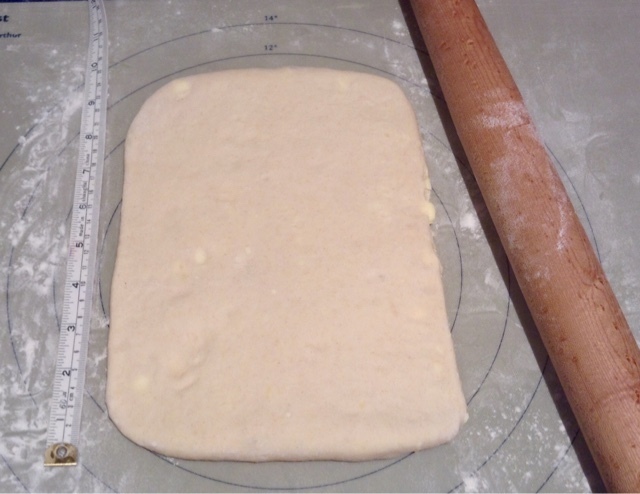 On lightly floured surface, roll croissant dough into 9 by 22 inch (23 x 56 cm) rectangle (12 buns), or a 9 by 7.3 inch/23 x 18.5 cm rectangle (4 buns), about 1/4 inch/13 mm thick. 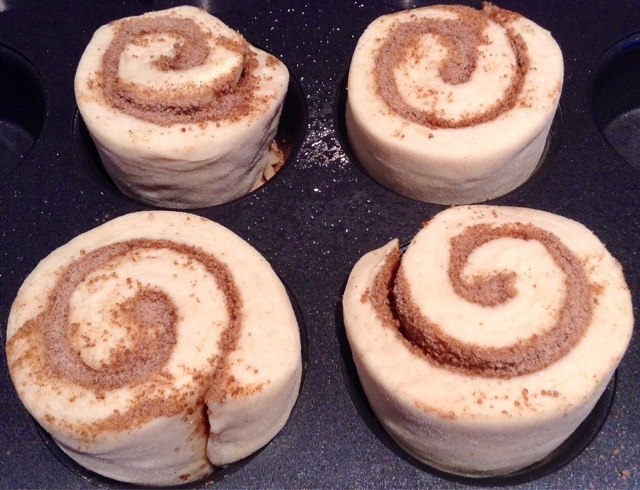 Spread dough rectangle evenly with remaining cinnamon sugar. 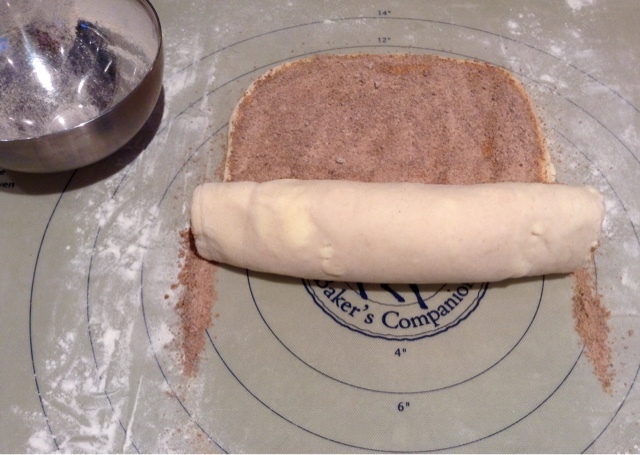 Starting with a long side (12 buns) or a short side (4 buns), roll dough into a tight log. Place log seam side down. (Remove any loose flour from surface with pastry brush). 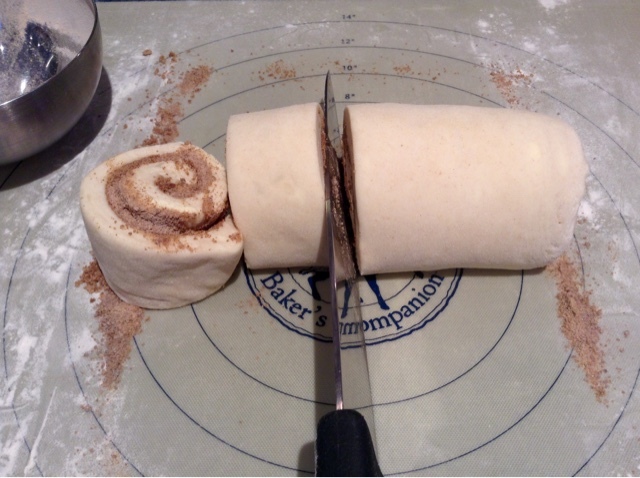 Using sharp chef’s knife, cut log into 1 3/4 inch/4 cm thick slices (add any runaway cinnamon sugar to muffin pan)). Place dough slices into muffin cups, with cut side down. Let buns rise at moderately warm room temperature for 1 1/2 – 2 hours, or until they have doubled in size (finger poke test: a dimple should not fill up again). 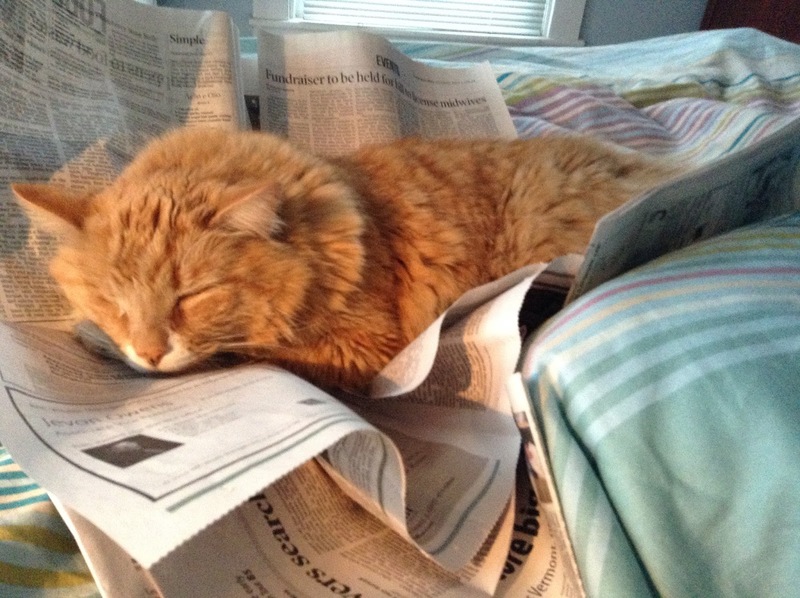 20 minutes before baking, preheat oven to 375ºF/190ºC, with rack in middle position. Place muffin pan on rimmed baking sheet (to catch any sugary spills). 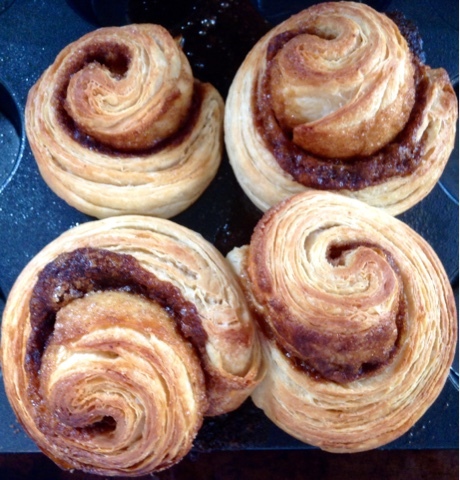 Bake buns for about 30 – 35 minutes, rotating pan 180 degrees after half the baking time). Buns should be golden brown, firm to the touch, and show no translucency if pulled apart. 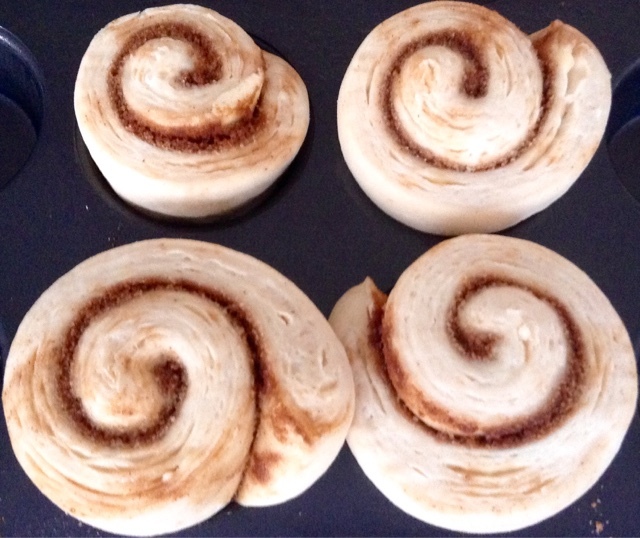 To turn buns out, line baking sheet with parchment paper and place in reach. Remove muffin pan from oven, and immediately turn buns out (away from you) onto prepared baking sheet, before caramel hardens. Shake pan gently, if they don’t release (if that doesn’t help, loosen buns with a knife). Scrape out any caramel syrup sticking to pan, and drizzle over buns. 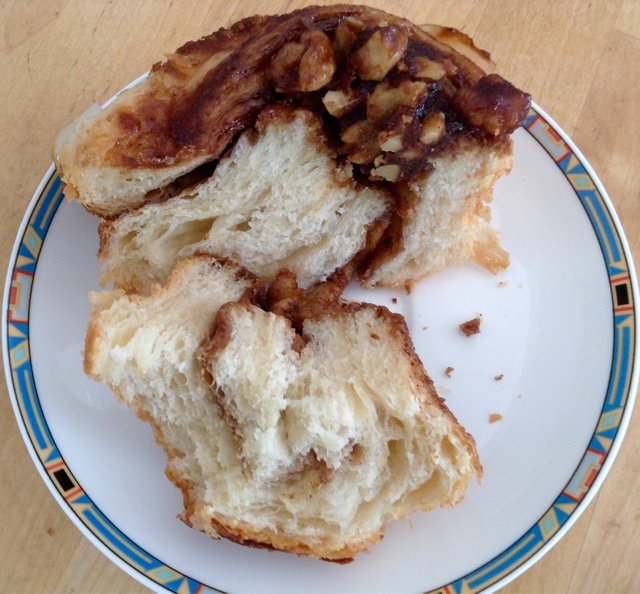 Sticky Buns taste best when fresh, but you can wrap them in plastic (when cooled), and keep for 1 day at room temperature. To serve, nuke a few seconds, or briefly warm them up in the oven at 400ºF/200ºC. American sticky buns for breakfast!